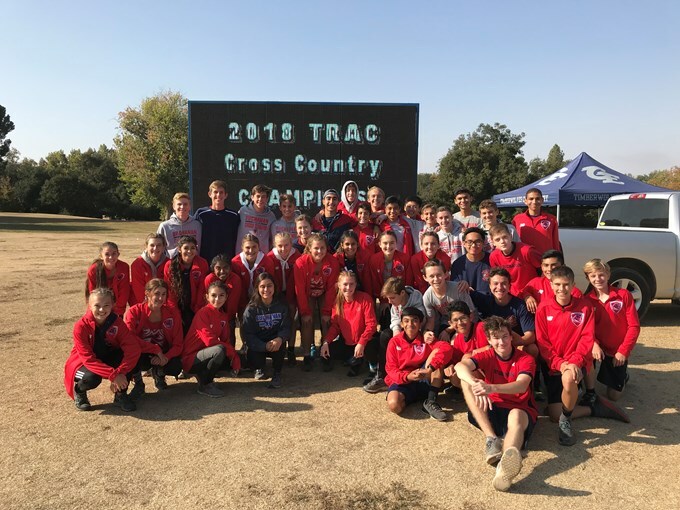 It was a huge honor to have both the Boys and Girls teams run in the highly competeive California State XC Meet at Woodward Park! Congrats to Boys team for running well, led by a 35th place finish from JR Kelly Brewer! The Boys return 5 of their top 7 runners and are looking to be very competetive next fall. The Girls took to the stage without one of their top runners and 2017 State Champion, JR Corie Smith, who fell ill the morning of the race. That didn't stop the Bears from fighting hard and earning a 6th place finish, led by a 2nd place individual finish from SR Meagen Lowe! The Girls will return 6 of their top 7 next year. The Bears had an amazing day at Woodward Park for the CIF Valley Championships ! First race of the day was Boys Division 1. The Bears placed 3rd overall, just 13 points behind 2nd place. Led by a 7th place finish from teammate Kelly Brewer, the boys punched their ticket to the State Meet. The second race of the day was the Ladies. The Bears placed all 5 of their scorers in the top 10, with their number 6 placing 11th. 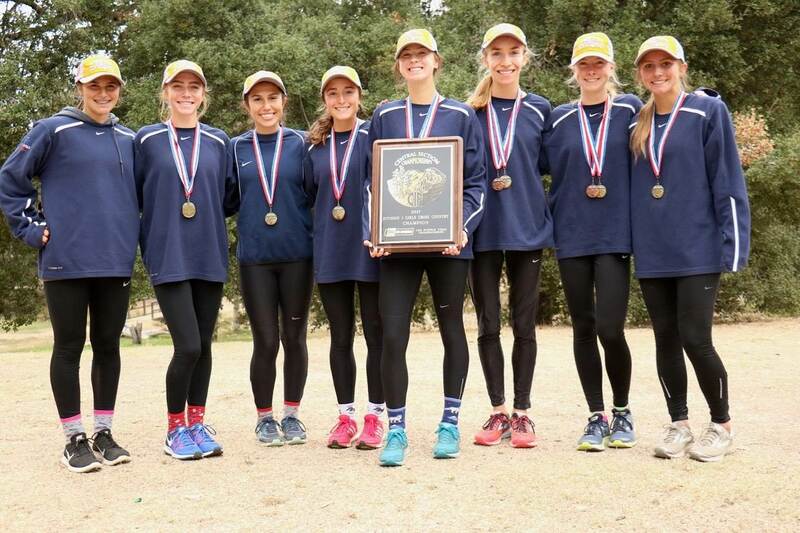 With this amazing finish, led by another 1-2 finish from Corie Smith and Meagen Lowe, the girls scored 24 points, beating the 2nd place team by 68 points making them the 2018 CIF Valley Champions! The girls are also off to the State meet! The XC Bears were at it again at Woodward Park for TRAC Championships! With the help of our cheering squad made up of Leadership, Water polo and Football kids, BHS admin, teachers, and parents, the Boys and Girls both took home the title of TRAC League Champions!! Buchanan High School opened its doors during the Fall of 1991. Since then the school and the area around Buchanan High School has grown considerably. 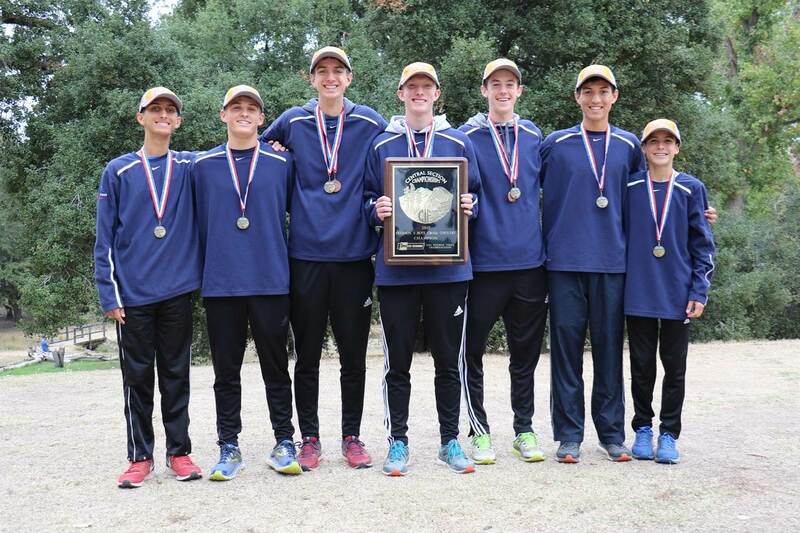 The Cross Country Program at Buchanan has matured along with the school. In its infant stage the program had only 2 girls and 13 boys (1991). Since then the program has supported a number of athletes ranging from 60 to 80 members. The success of the program is contributed to hard work and determination fostered within the program. The true measurement of success in our program is not the number of victories or failures, but what our athletes become 5 years after they graduate from high school. Below are some of the accomplishments by the athletes and the coaches.